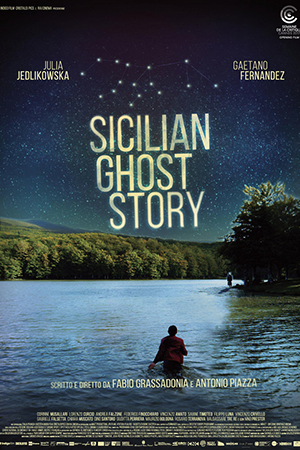 Sicilian Ghost Story is inspired by the true story of teenager Giuseppe Di Matteo who was kidnapped in 1993 in a bid to silence his father Santino, a Mafia supergrass. His real life ordeal is viewed through the torment of Luna, a classmate whose devotion to Giuseppe burned ever brighter in the face of public indifference to his fate. Luna’s imagination conjures up all manner of places where her missing love might be, giving the directors the artistic opportunity to drift between the magical imagery of Luna’s visions and the bleakness of her actual surroundings, creating a bold and brilliant film.